Suuchi Ramesh was born and educated in India. But her New Jersey-based clothing startup has one core goal: keep all of the manufacturing in-house and in the United States, by making it faster and smarter. 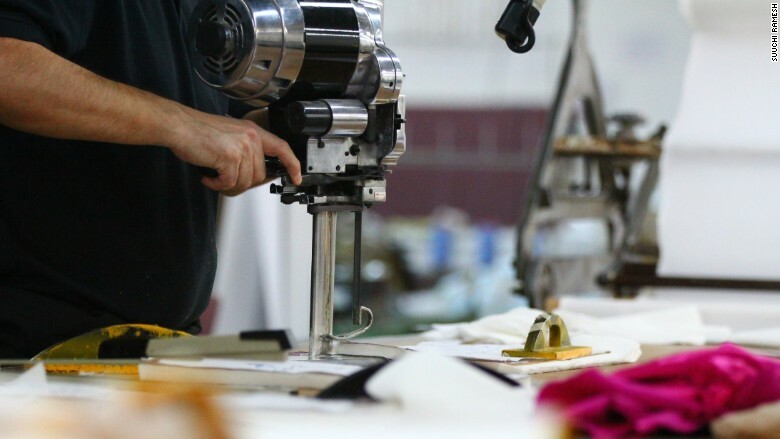 Powered in part by tech tools, Suuchi Inc. runs as a one-stop shop out of North Bergen handling fabric sourcing, product design, manufacturing and sales. "We are a completely made-in-America operation and proud of it," Ramesh, 36, told CNNMoney. Suuchi Inc., which launched in early 2015, specializes in limited quantity production of women's clothing, bags and a few home goods like cushion covers. The company sells not to customers but businesses: young designers launching their fashion labels, retailers who want to make private-label clothing in America and large firms supplying uniforms to the casino and hospitality industries. Suuchi Inc. has 55 employees and expects to cross 100 by the end of 2017. Ramesh currently employs 55 workers (80% of whom are women) and expects that figure to be higher than 100 by the end of 2017. She credits heavy investment from the beginning in tech and automation for her company's rapid growth. "We have to use technology to make the process and people smarter. 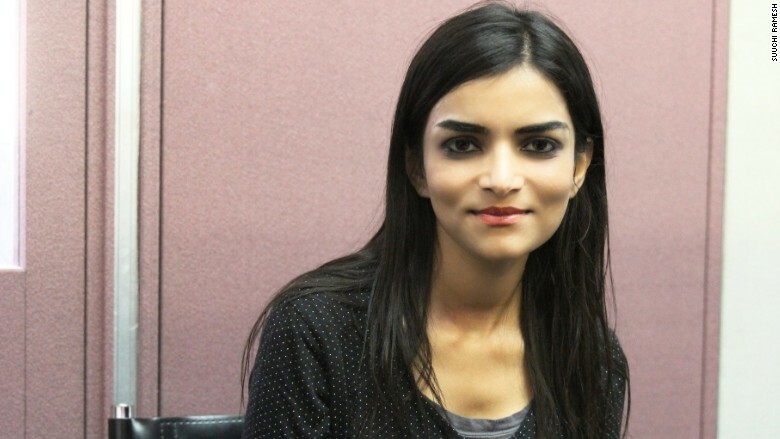 It's where manufacturing is headed," said Ramesh, who has a computer science degree as well as an M.B.A. She first came to the U.S. in 2006 to work as an analyst with Intel (INTC). As a technologist, Ramesh employed modern tools from the start. Suuchi Inc. currently uses 100 different machines that enable 30% to 40% of the clothing production to be automated. "Our effort is to reduce manual intervention and eventually introduce robotic technology and automation," Ramesh said. 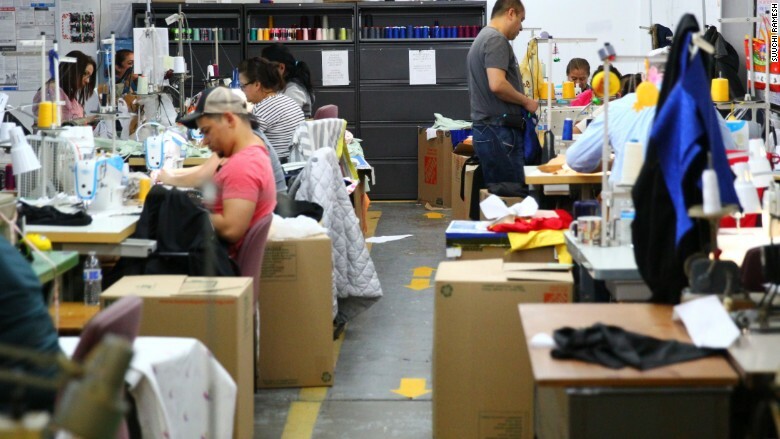 80% of Suuchi Inc.'s workers are women. For example, using digital fabric cutters instead of electric cutters creates precisely cut pieces for sewing more quickly. And by automating the process to make buttonholes, Ramesh has reduced labor time on pieces that include buttonholes by 40%. "Eventually the goal is to move toward a world of reprogrammable robots for these processes," she said. 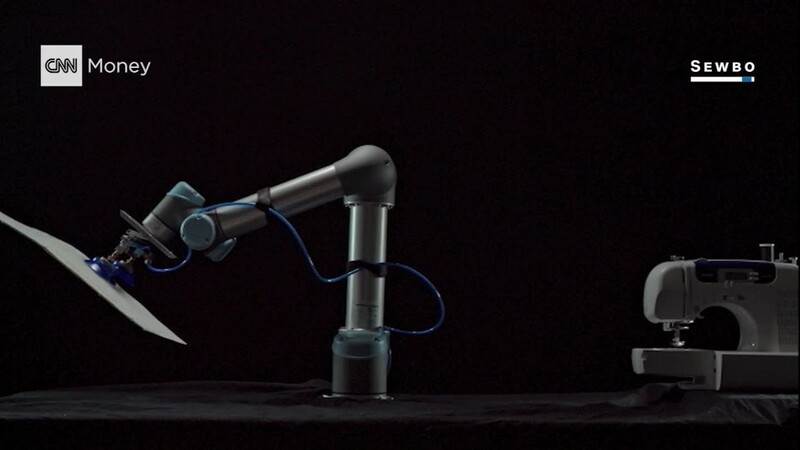 "But it's important to note reprogrammable robots and machines will make our seamstresses smarter -- not replace them." She's also testing software she created to reduce the design time process and to create a garment sample from a 3D concept within 48 hours. "This is real speed to market," said Ramesh. "We're hoping to have our partners use the software in six weeks." Speed to market is attracting clients. 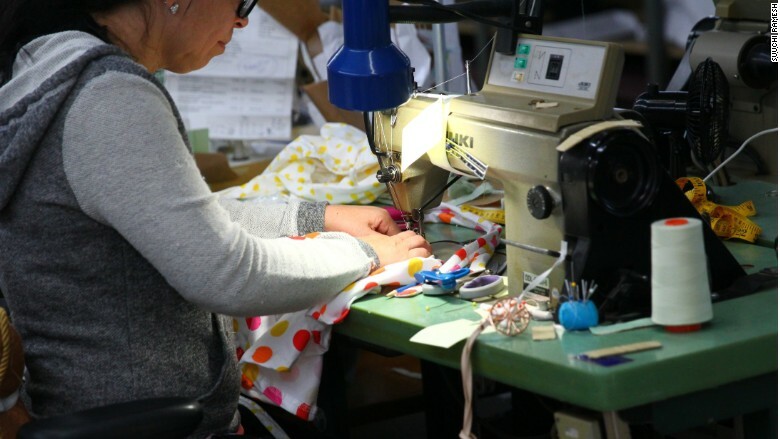 Even though using Suuchi Inc. costs her customers about 20% more compared to manufacturers in China or India, the math works for small-batch production: "By sourcing domestically, they get their orders faster and they save on shipping costs." In the last nine months, the manufacturer has boosted production from 3,000 to 20,000 items a month for its nearly 100 clients. Ramesh estimates the company will hit sales of $2.7 million in 2017 and $7.5 million by the end of 2018. Suuchi Ramesh, founder of Suuchi Inc. It's a far cry from Suuchi Inc.'s beginnings. Frustrated by the difficulty she experienced finding outfits that fit her petite stature, Ramesh conceived of the startup idea: create custom garments quickly, efficiently and in a cost-effective way. She self-funded the company with $375,000 and leased a 2,000-square-foot space. Since then, Suuchi Inc. has relocated to a 10,000-square-foot facility and recently received a bank loan to fund further growth. Suuchi Inc. relies on automation and modern tech to make manufacturing smarter and faster. Suuchi Inc.'s workforce is growing, too. Ramesh personally recruited most of her workers through word-of-mouth inquiries, posting flyers and advertising in local newspapers. The majority of her workforce is women because they have the skills she needs. "The cut-and-sew talent is the lifeblood of our business and they are the toughest to find," she said, adding that her employees represent 19 nationalities. Ramesh's own background continues to serve as a driving force for Suuchi Inc.
"Being an immigrant forces something out of you," she said. "I don't think I would have worked as hard in India, and I don't take my opportunities in America for granted."